When it comes to pet emergencies, equipping yourself with some tips and techniques will help you get through any stressful situation. From learning how to handle common emergencies to assembling a well-stocked first aid kit, being prepared means you’ll have one less thing to worry about when dealing with a pet crisis. Please note that pet first aid should not take the place of veterinary care. It’s simply to help manage the situation until you can get your pet to a professional. When dealing with a pet emergency, it’s best to contact your veterinary practice immediately and follow their instructions until you can get your pet to the practice. 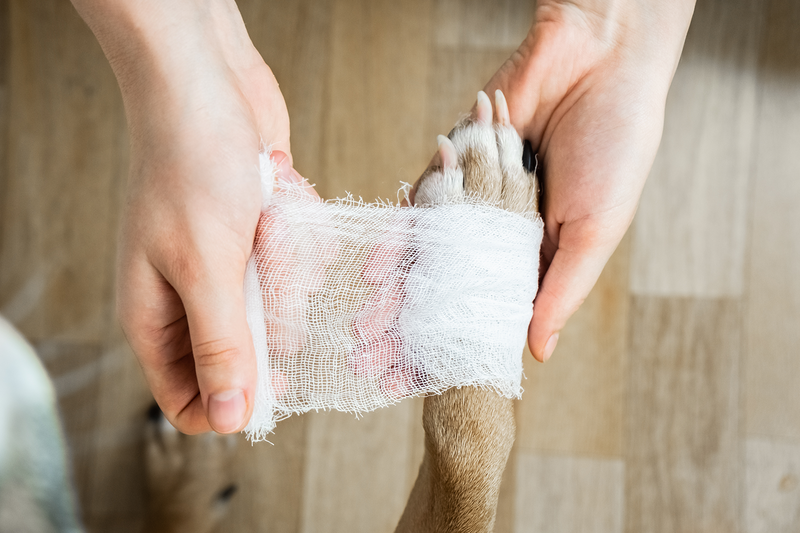 It’s great to know basic first aid techniques so you’re prepared to handle common scenarios, like your pet ingesting a toxic substance or getting injured. If your pet gets into something toxic — household products, medications, certain human foods — contact your veterinarian or the Animal Poison Control Center right away. They’ll advise on what to do until you can get your pet to your veterinarian. 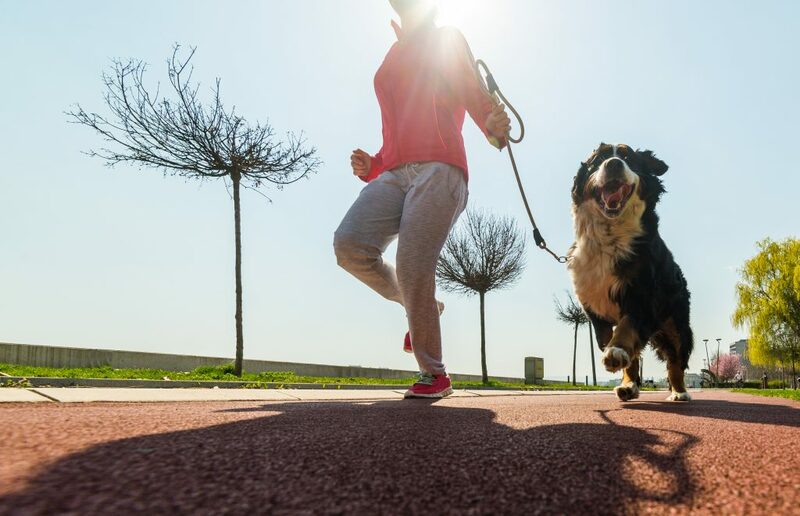 This may involve collecting a sample if your pet has vomited, or using water to flush your pet’s eyes or skin if they’ve been exposed to a toxin. If your pet is bleeding, the first step is to place gauze over the wound and apply pressure for a few minutes. Then, secure it with adhesive tape before taking your pet to the veterinarian. 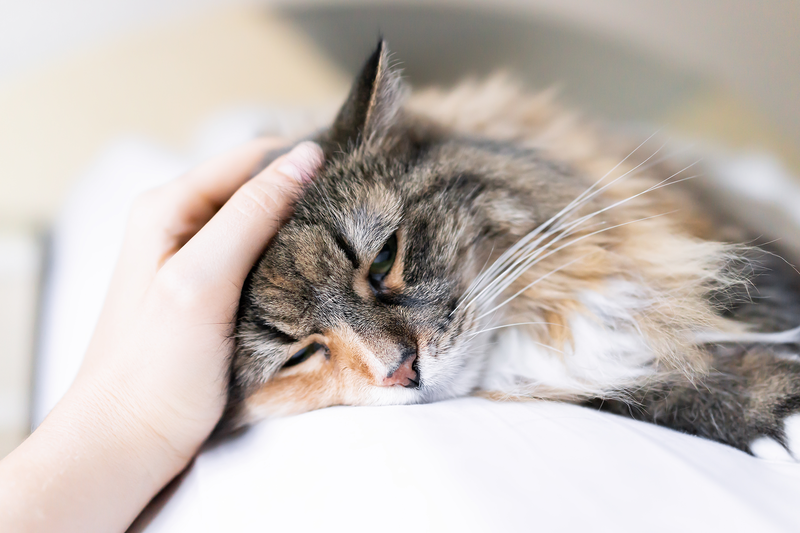 Seizures can be a scary situation for both you and your pet, but there are a few things you can do to get him through an episode. Don’t try to restrain your pet. Also, make sure he’s far away from furniture or anything else that could injure him. Once the seizure is over, try to keep your pet calm and quiet while you contact your veterinarian. You can tell that your pet might be choking if he paws at his mouth, wheezes, or appears panicked. If your pet is still able to breathe, take him to your veterinarian for treatment. You can also try removing the foreign object from his mouth (as long as the object is visible). Be careful as you use tweezers to remove it — you don’t want to push the object further into his mouth or get bitten. If you’re able to remove the object, you should still bring your pet to the practice to ensure there’s no damage. 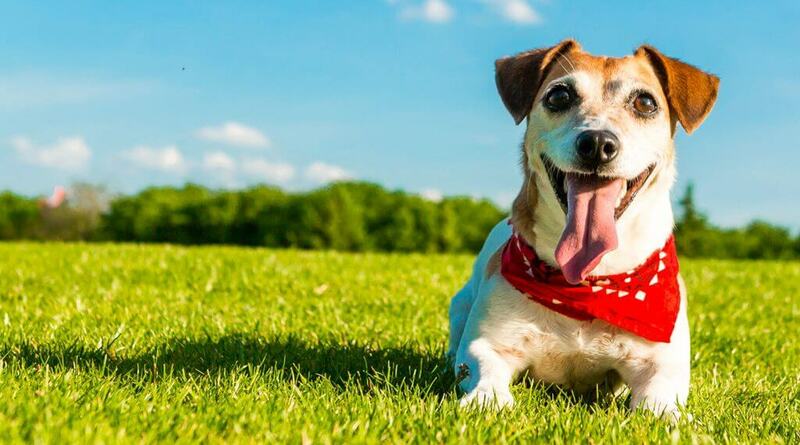 In severe cases, your pet might collapse because his airway is completely blocked. If this happens, lay him on his side and apply firm pressure in rapid succession (at least three to four times) to push air out of the lungs and force the object out. Keep doing this until the object is expelled, or until you get to your veterinary practice. Want to learn more about pet first aid? A variety of resources are available to suit your needs. The Pet First Aid app from the American Red Cross has step-by-step instructions on how to handle common pet emergencies. It also features interactive quizzes, tips on assembling a first aid kit, and an animal hospital locator. The American Veterinary Medical Association’s printable brochure is perfect for stashing in your first aid kit. It covers emergencies like choking, poisoning, and seizures. Plus there’s a spot to write down emergency information, like details about your pet and contact info for your veterinarian. ProPetHero offers online training at your own pace, including courses on injuries, allergic reactions, and respiratory emergencies. Featuring demonstrations with real animals, you’ll learn how to recognize problems, deal with injuries, and administer CPR. PetTech offers in-person courses across the country. The five-hour class teaches you about pet wellness, first aid care, and CPR. There’s also an eight-hour class that includes dental and senior care. Both courses come with the PetSaver™ 40-page handbook.